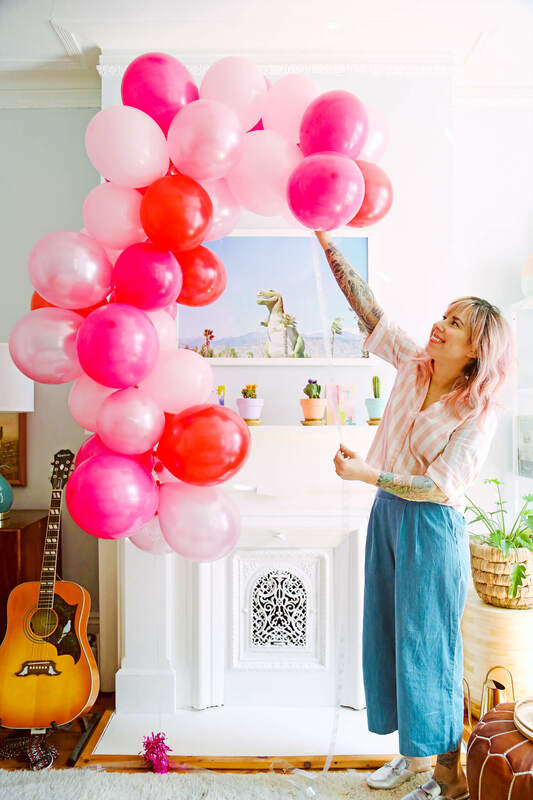 I’m so happy to be teaming up with Tadin Tea for this next post. Tea is something I’ve always incorporated into my recipe developing at home and behind the bar. 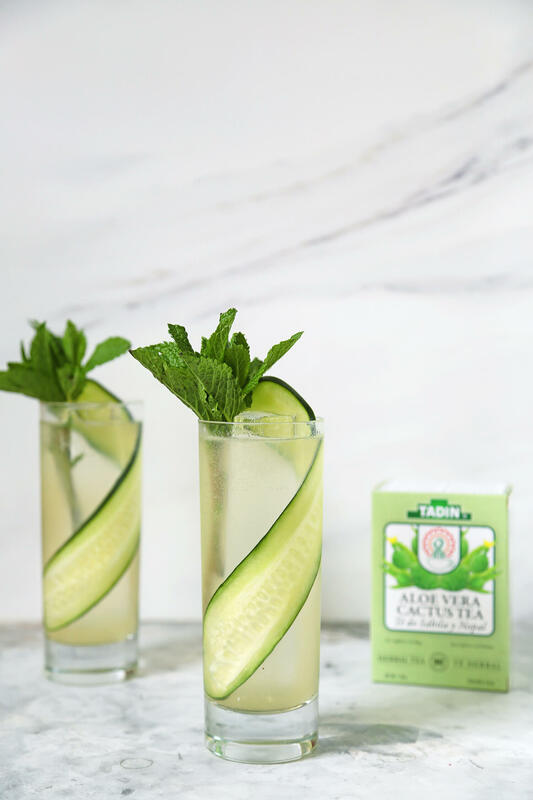 This Aloe Cucumber Cooler is so refreshing and the perfect cocktail for the warm months ahead. 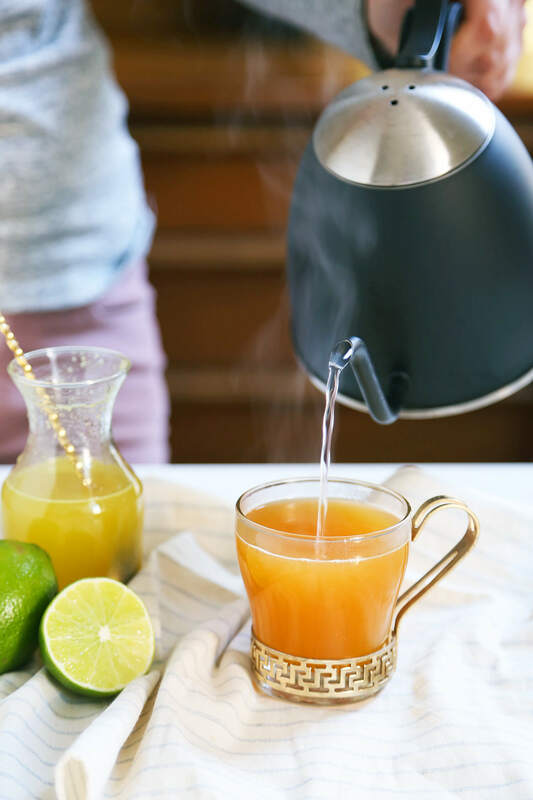 Making tea syrup is so easy and such a great way to add extra flavor to your drinks and simple syrup. First, brew the tea. I used 3 tea bags in 1 cup of boiling water. Let steep for 5 minutes and then discard the tea bags. 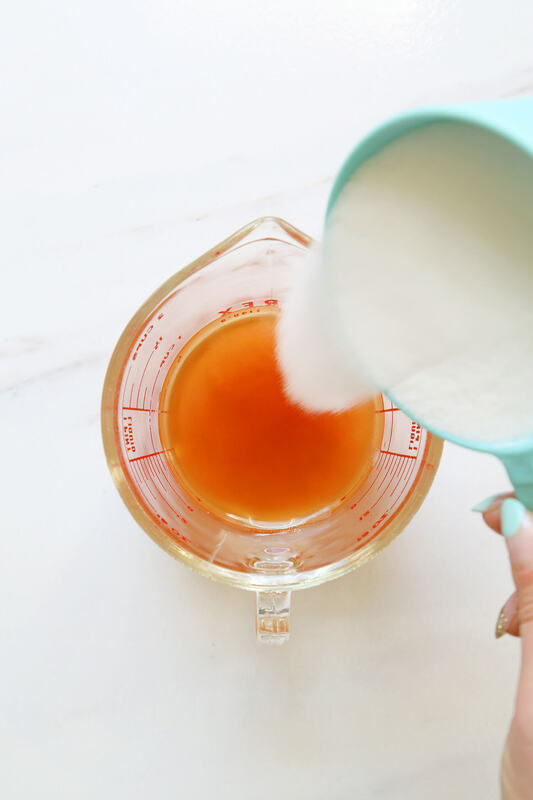 While the tea is still hot, add the same amount of sugar to make a 1:1 tea simple syrup. Regarding the aloe juice, I bought mine packaged. I wanted to juice it fresh but the day I was looking for it, of course, it was nowhere to be found. I’ve linked to the one I used above. If you can find that brand I suggest using it. It is 99.8% aloe. 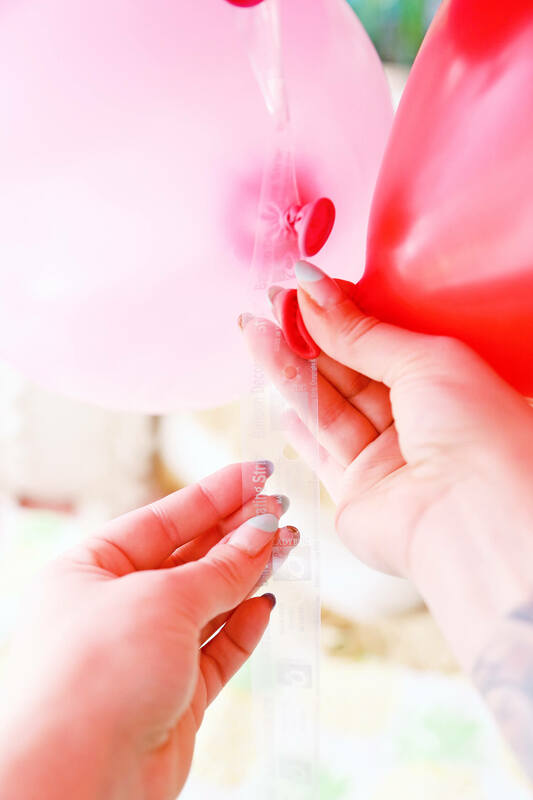 Make sure whatever aloe juice you’re buying has no added sugars, is made from 100% pure aloe, and is made from the inner gel fillet. So many of the aloe drinks on the market are flavored and have lots of additives and sugar. 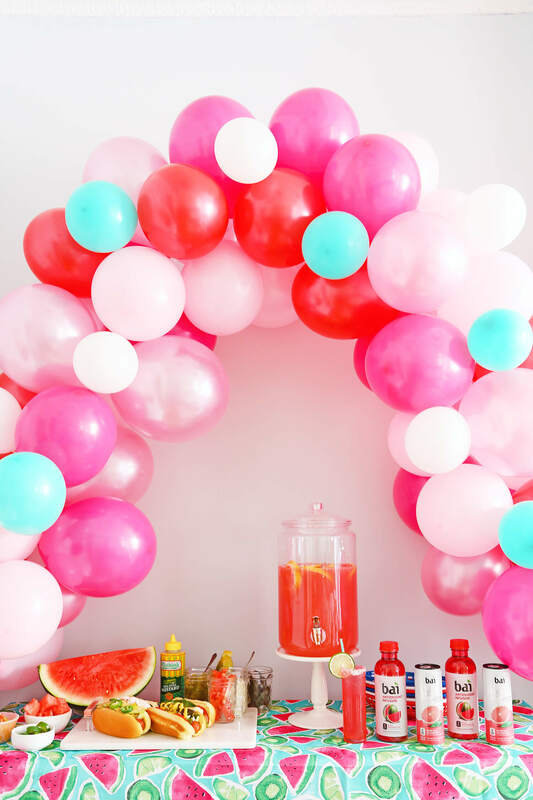 Now you can build your cocktail. 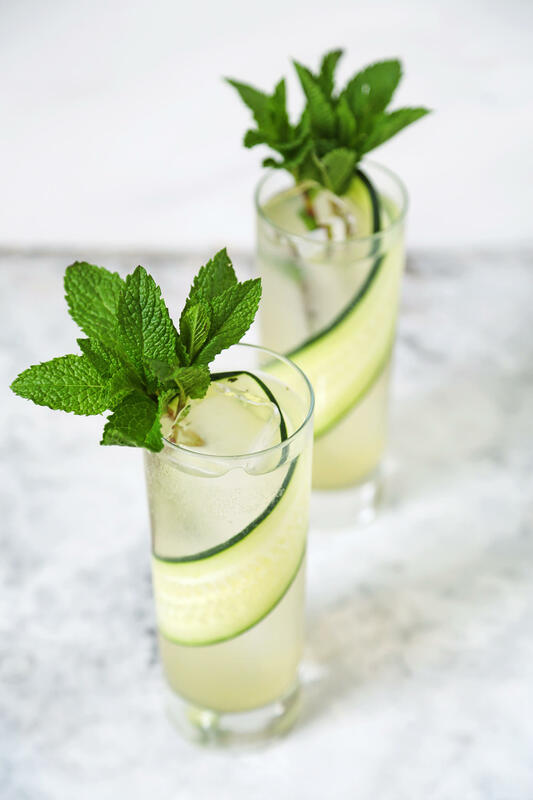 Add aloe vera juice, lime juice, tea syrup, cucumber, and mint to a cocktail shaker and muddle lightly. Next, add your gin then shake with ice and strain into a highball glass. 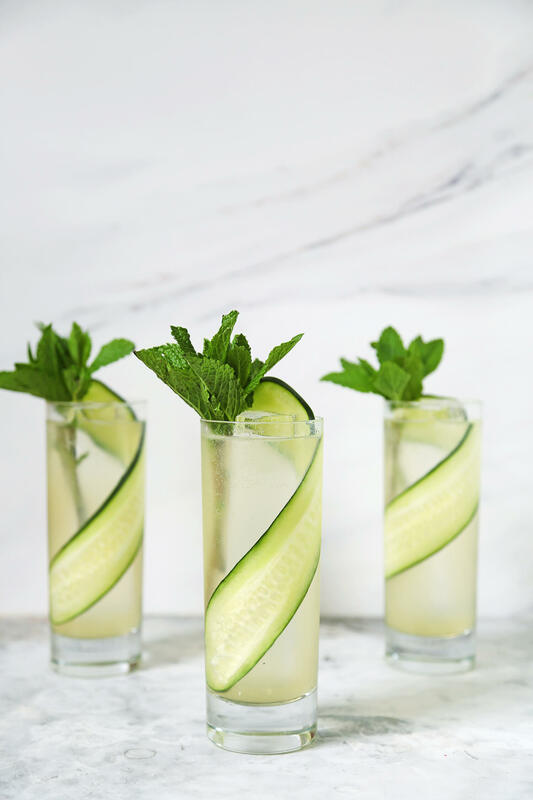 Top with soda and garnish with a cucumber ribbon and mint sprig. To make cucumber ribbons I used a mandolin slicer. I was a little nervous how well the tea and actual aloe juice would work in a cocktail but the results are amazing. 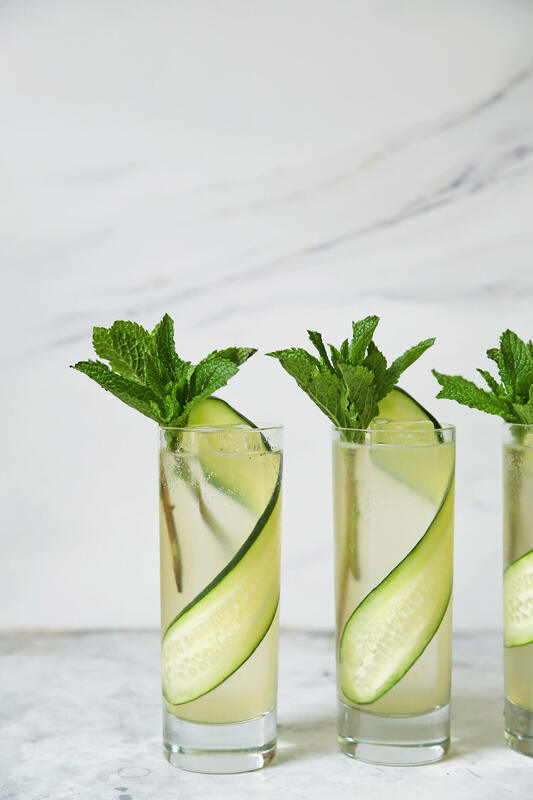 The tea is super herbal and earthy which goes so well with muddled mint and cucumber. 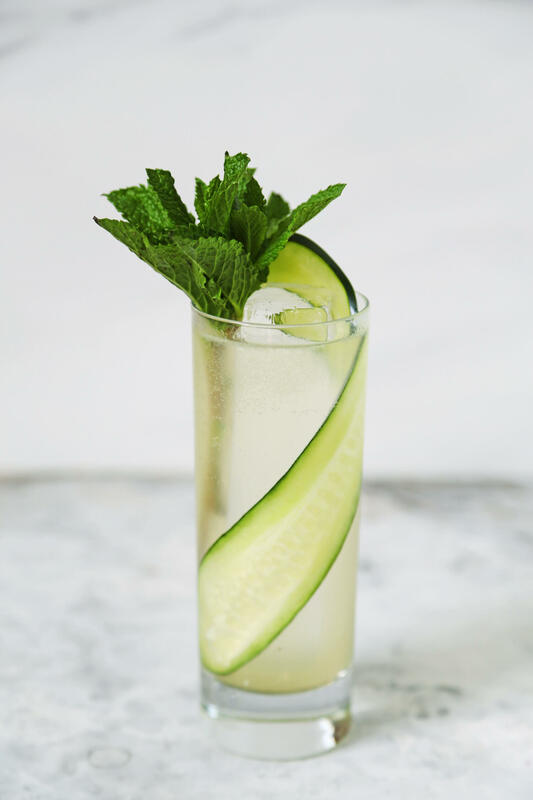 Also, I decided to use Hendrick’s gin to add extra cucumber and floral notes to this drink. Feel free to use any gin or even vodka if that’s your preference. 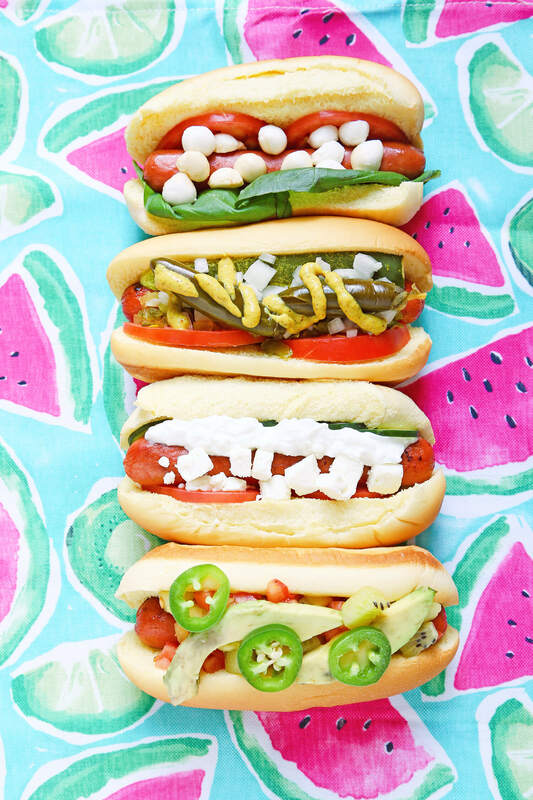 I will certainly be consuming a lot of these this Summer. Can we hydrate our livers and drink at the same time? I’m not sure but it’s worth a shot! 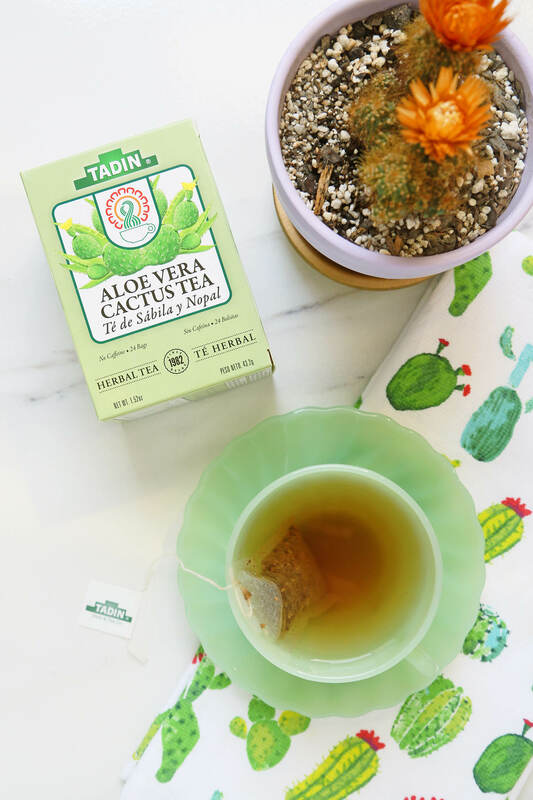 Also, make sure you head over to Instagram to enter the giveaway I’m hosting with Tadin Teas. 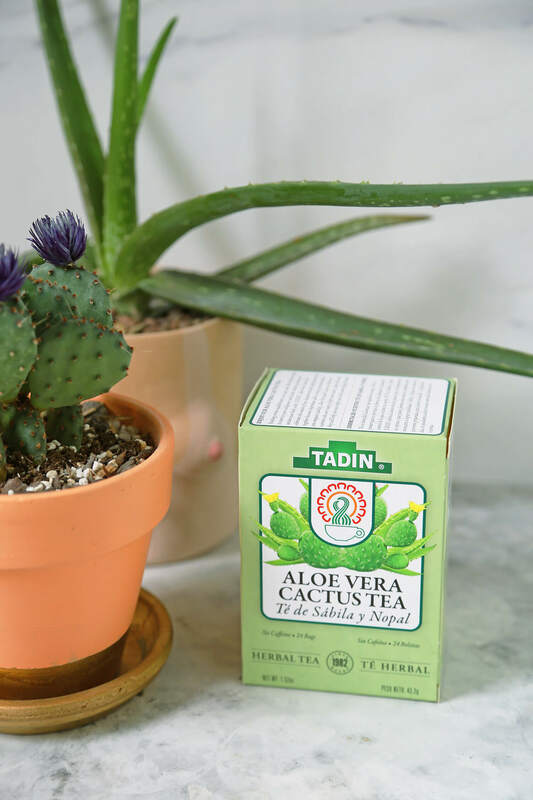 One lucky winner will win Tadin Teas entire collection. That’s 33 different teas! 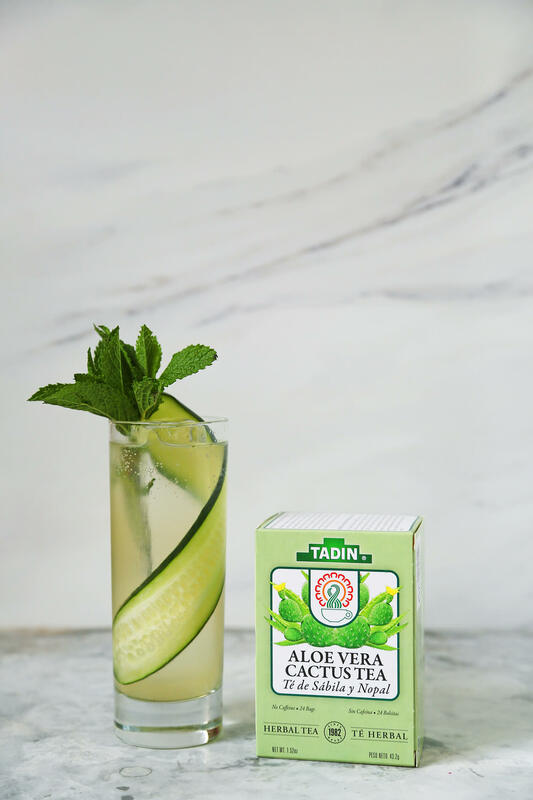 I’d love to see you mix up your own Tadin Teas cocktails at home. Good luck everyone! 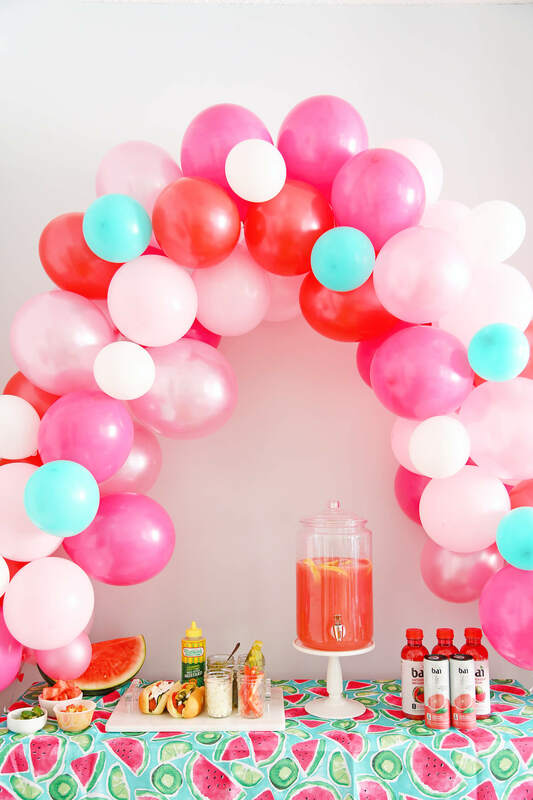 Can we drink and be healthy? I’m not quite sure but we can try! 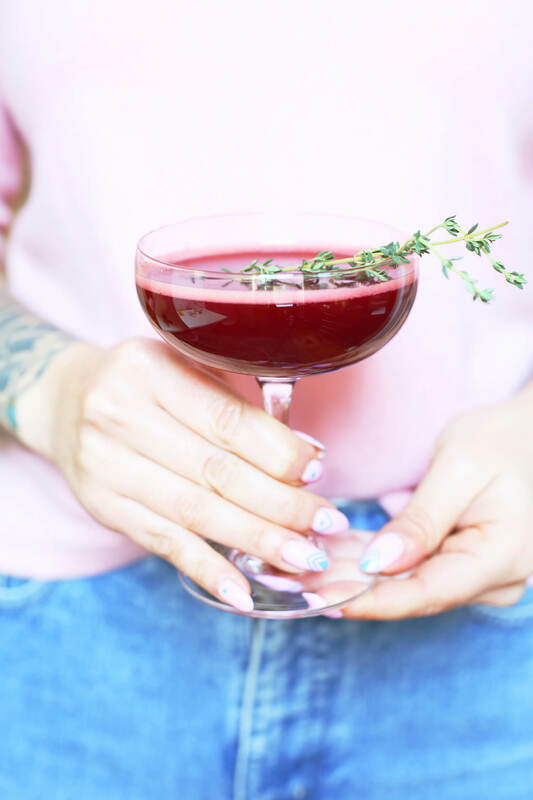 I made this Bitter Beet Detox Cocktail with Fernet-Branca that’s super herbal and refreshing. Fernet-Branca is made from bitters and herbs, and though it goes down relatively smooth, the aftertaste kicks and lingers. It is, as almost everyone describes it, an acquired taste. 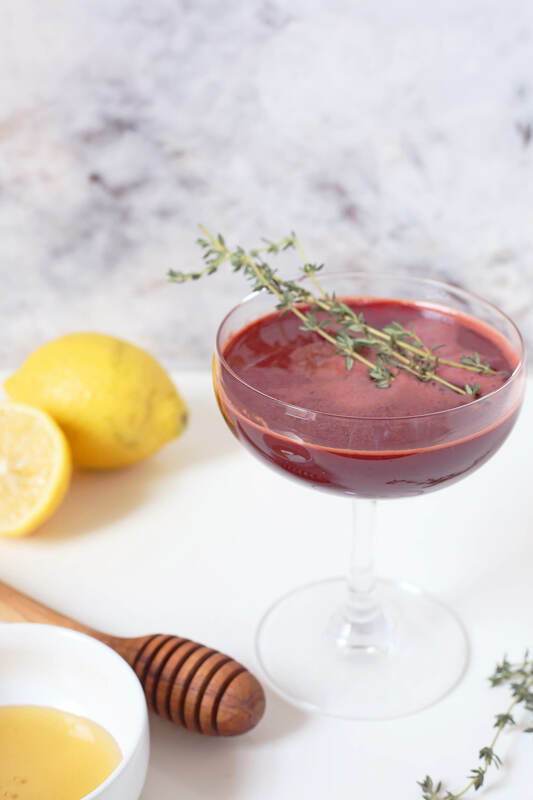 The base of Fernet is made from grapes and includes generous helpings of the antioxidant saffron, as well as some rhubarb, chamomile, and ginseng. 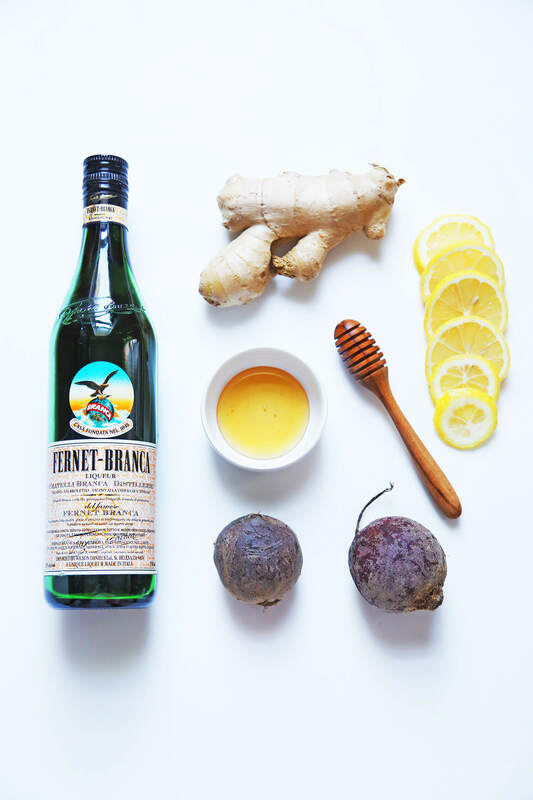 With the rumored herb count somewhere between 20 to upwards of 40, much more goes into Fernet, and other ingredients include peppermint oil, sage, bay leaves, gentian root, and even St. John’s wort. Almost all Fernet recipes are secret though! The combination of herbs, whatever they all are, settles the stomach, aids digestion, and people often cite it as a hangover cure. Originally, people drank the liquor to cleanse the system, sipping it following dinner. 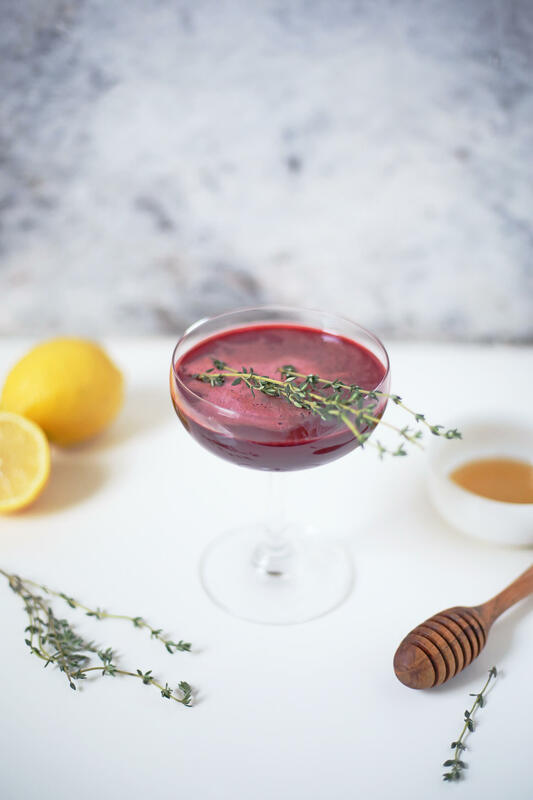 Historically Fernet has been used for health reasons which made it perfect in this Bitter Beet Detox Cocktail. Cut your beets into small pieces and run them through your slow juicer. If you don’t have a slow juicer you can make juice in a blender and fine strain. You can also buy it at your local health food store. Add all of your ingredients to your cocktail shaker and shake with ice. 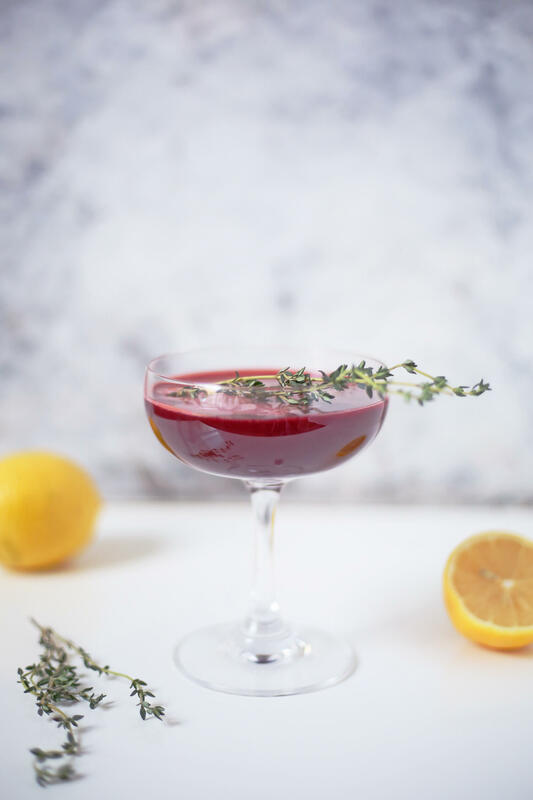 Strain into a coupe glass and garnish with a sprig of fresh thyme. Can I be honest with you guys? I’ve never been a huge fan of Fernet. I have drunk it on occasion to use it exactly what it was meant for — digestion, upset stomach, or hangover. I’ve never truly enjoyed it in a drink and it’s never my first choice. 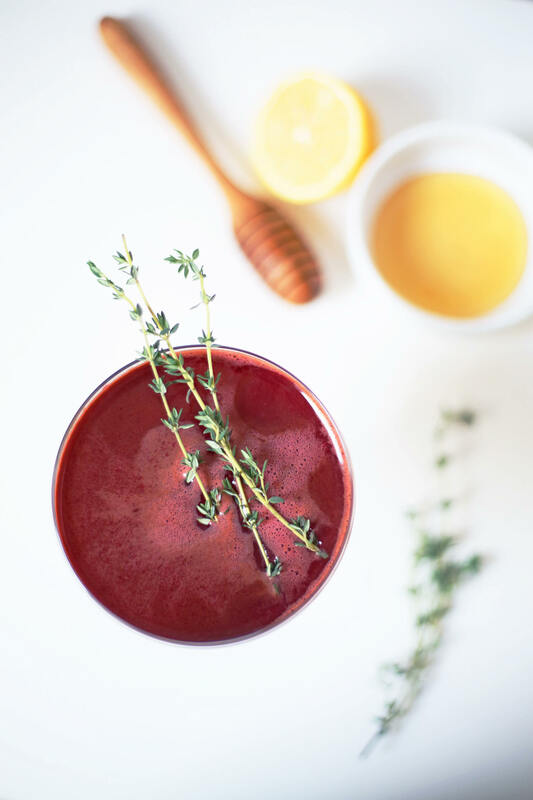 This Bitter Beet Detox Cocktail has kind of changed my mind though. 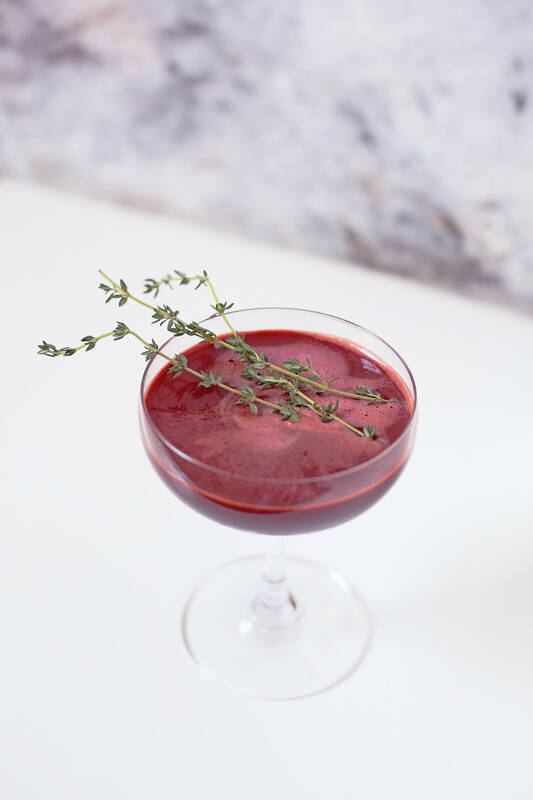 The earthiness of beets goes so well with all the herbal notes of Fernet. 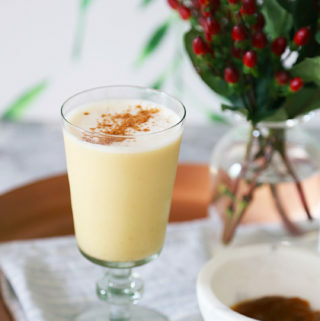 Ginger liqueur adds some nice spice and sweetness to this drink together with the honey. Honey is a great natural sugar and is full of antioxidants, minerals, and vitamins. The lemon juice adds brightness and helps balance the cocktail. In addition, thyme is a great aromatic for garnish and also has many health benefits. Thyme can boost the immune system as well as aid in heart health, provide relief from stress, and is rich in anti-fungal and antioxidant properties. We’ve been enduring freezing temperatures here for weeks now and frankly, I’m growing a little tired of it. When it’s cold and you have the holidays to look forward to you can persevere through it. After the new year, the bitter cold leaves me just that — bitter. 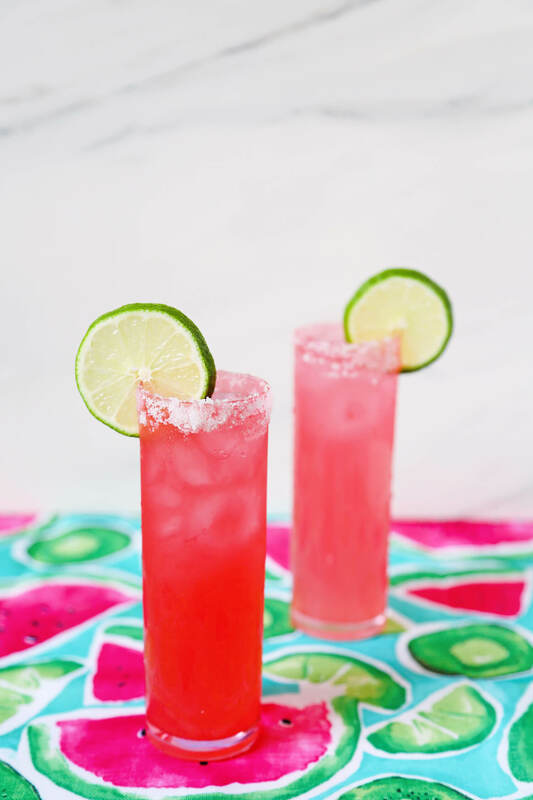 I’ve been dreaming up drinks I can stay inside with and that remind me of warmer days. 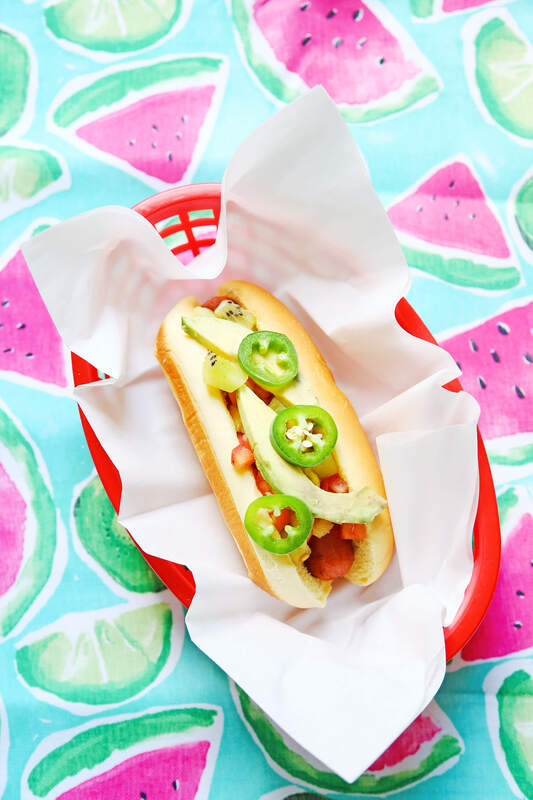 I’m pleased to introduce my warm take on a Summer classic, The Hot & Stormy. Brilliant, yes? I thought so. 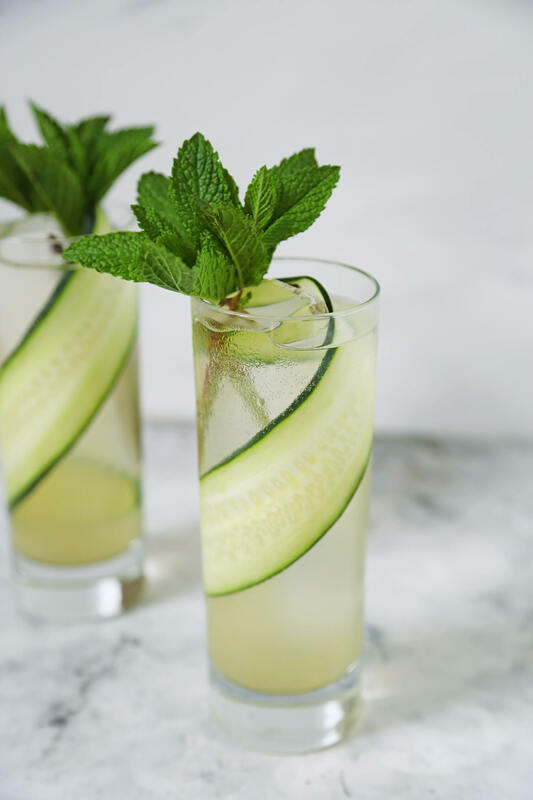 The Dark & Stormy cocktail is simple, refreshing, and the perfect Summer highball. 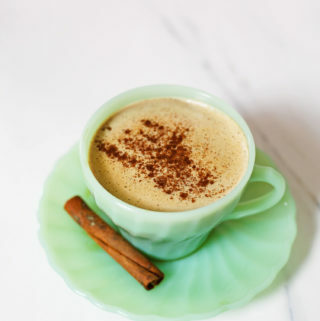 But its ingredients dissected make a pretty awesome warm drink appropriate for those really frigid winter nights too. My trick to the perfect Dark & Stormy cocktail is throwing away the premixed ginger beer and using freshly juiced ginger instead. 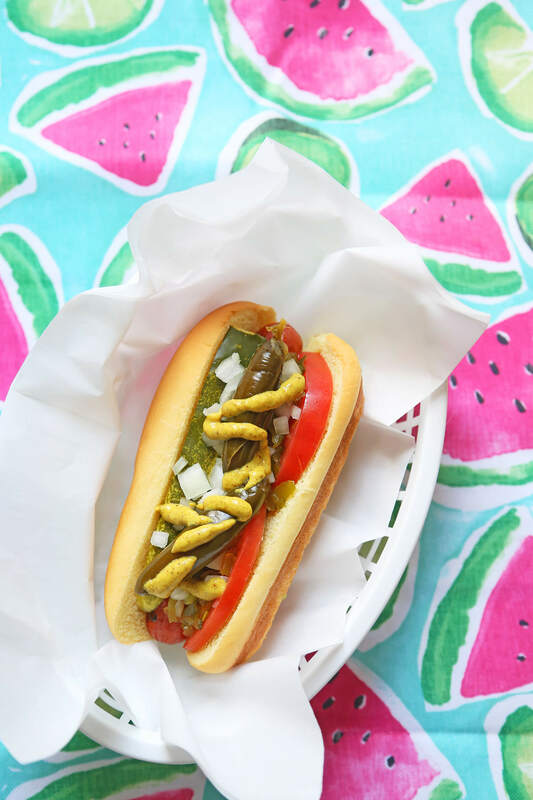 It’s a little more work but the spicy flavor it yields is totally worth it. I add a 1/2 oz. lime to mine with 2 oz. Gosling’s Rum (of course), 3/4 oz. fresh ginger syrup, and then top with club soda for the fresh fizzy ginger beer effect. I’m going to show you how I make ginger syrup so you can make my Hot & Stormy. I finally bought myself a slow juicer. I decided on this one by Hurom. 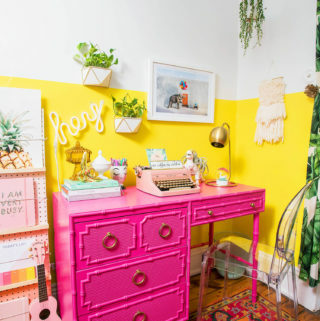 Yes, it’s pink which was a plus in my book but it also got amazing reviews (another plus). 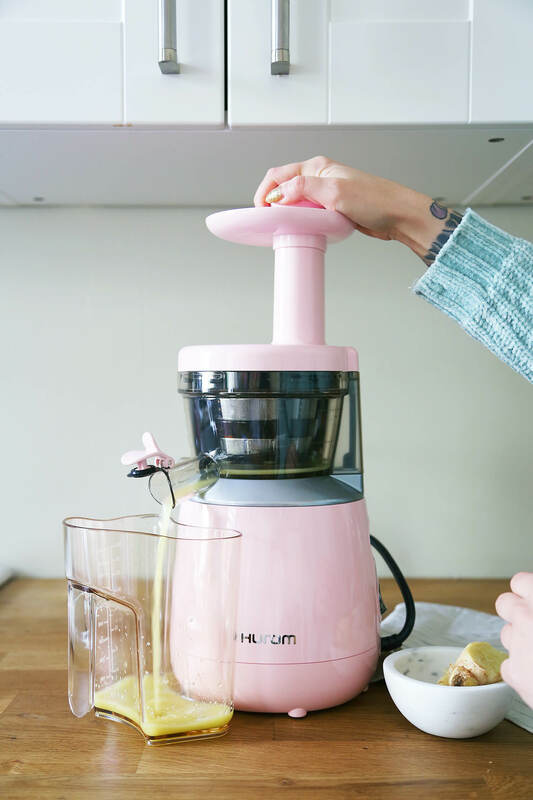 Their juicers come in lots of other colors and styles if pink isn’t your thing. 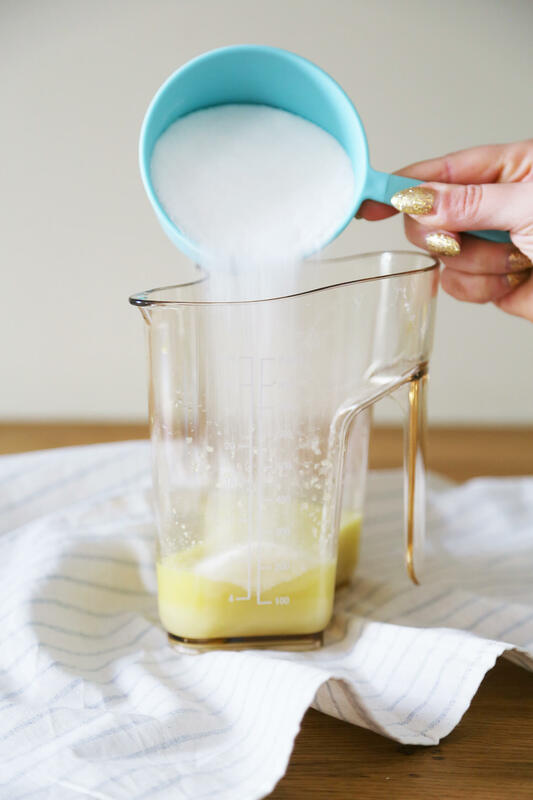 This post is 100% not sponsored and I’m giving you my honest opinion: buy this juicer. Not only is the design amazing, it’s so easy to put together and disassemble, super easy to clean, and hums like the purr of a fat content cat. It’s SO quiet! I peeled a larger piece of ginger, cut it down so it would fit through the top of the juicer, and pressed down. Like magic, the fresh ginger juice comes right out. I used a piece of ginger that was probably 5 inches long and it yielded exactly 4 oz. of ginger juice. The key to making ginger syrup is a 2:1 ratio. It’s 2 sugar to 1 ginger juice. Fresh ginger is really spicy so you need more sugar to balance it out. I added 8 oz. of sugar and stirred it until the sugar dissolved. 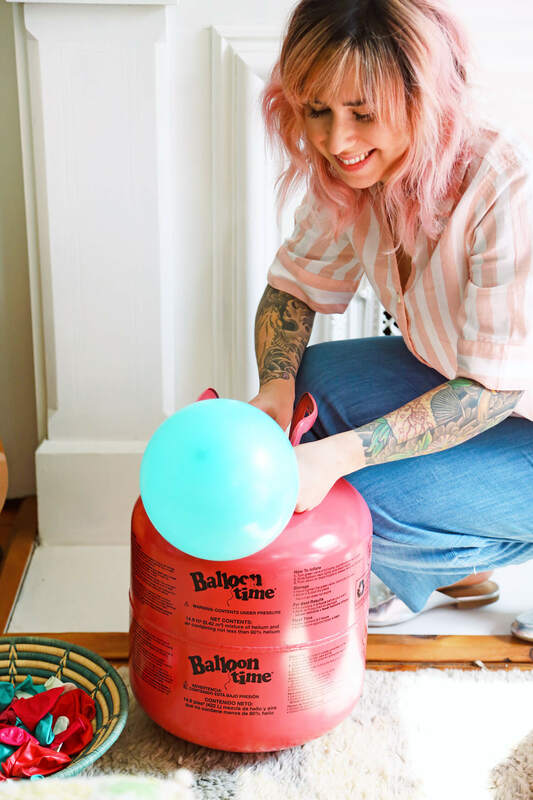 You can heat this over low heat on the stove if you want it done faster. If you don’t have a slow juicer don’t fret. 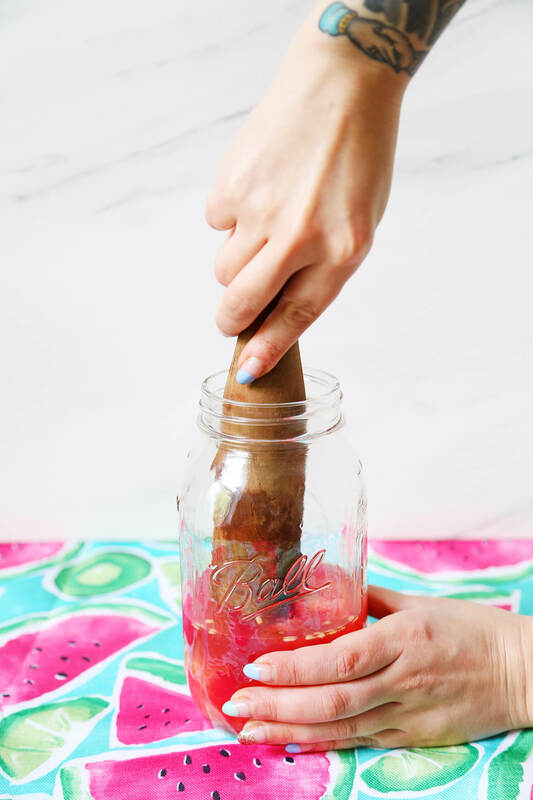 I detailed how to make ginger syrup using a blender for my Dark & Stormy Popsicles on A Beautiful Mess. The hard part is over and now you can assemble your drink. Add all your ingredients to your serving vessel and top with hot water. You are ready to enjoy your Hot & Stormy. 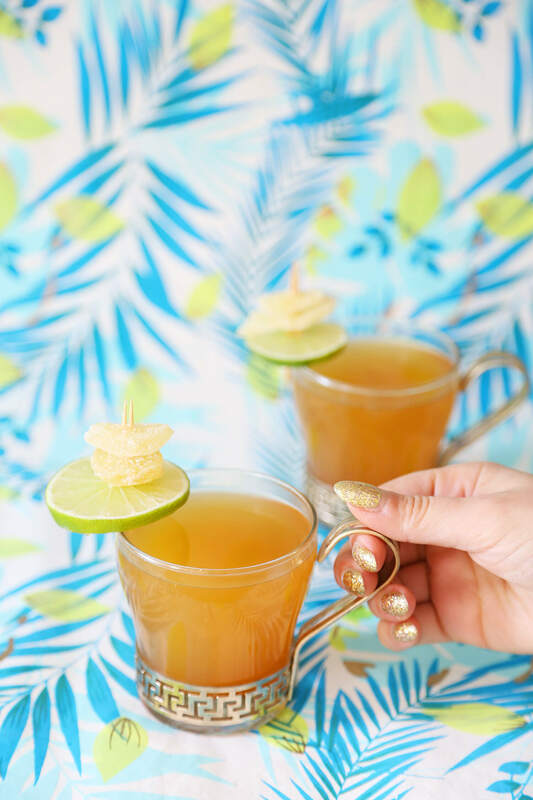 Originally when I was brainstorming hot drinks to make on the blog I wanted to do a hot toddy variation. 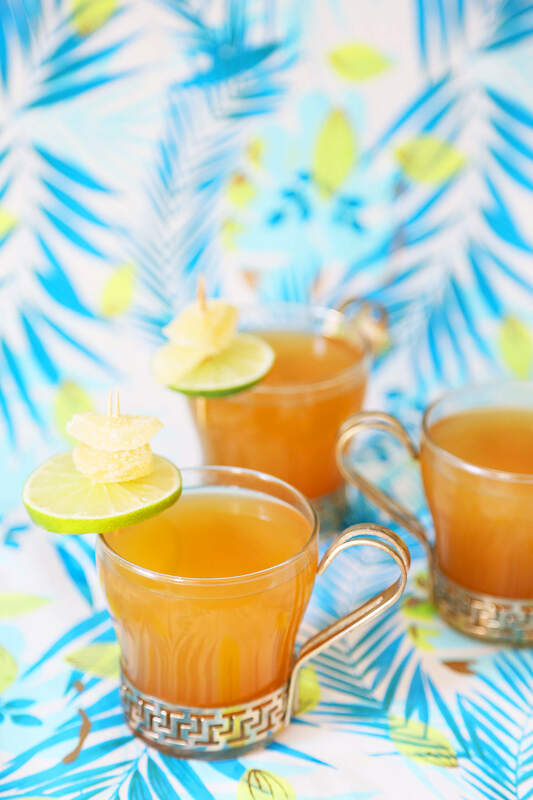 Ginger in hot drinks is so good, soothing, and bonus…healthy, but ginger in hot toddies had been done numerous times. 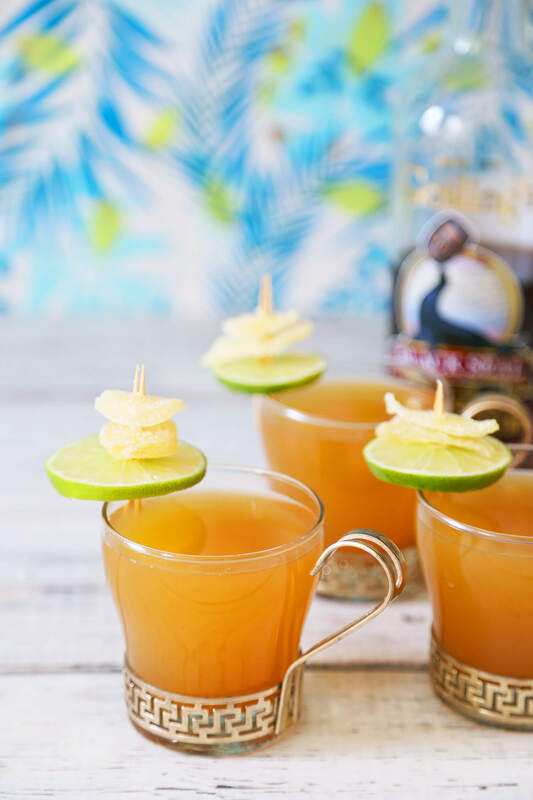 I started thinking about my favorite drinks with ginger in them and that led me to this hot Dark & Stormy variation. I basically removed the club soda and replaced it with hot water. I’m so happy with how it came out and it was simple to put together. 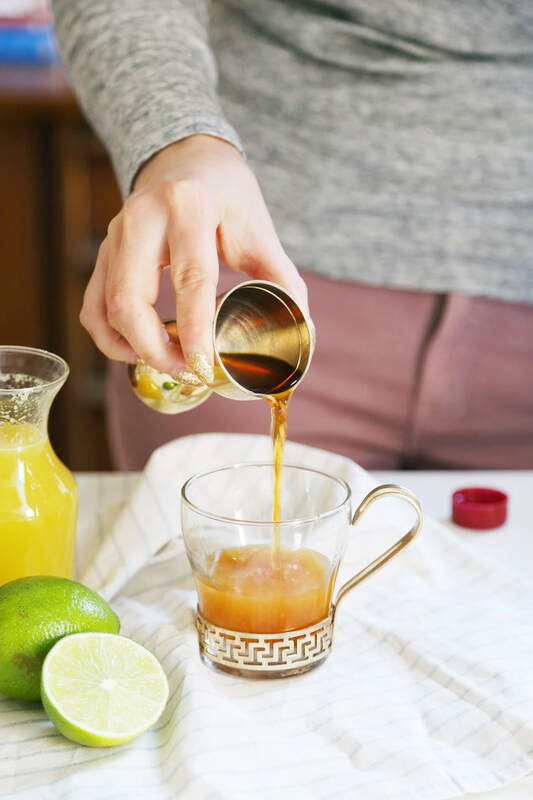 It’s crazy what a slight adjustment to a cold drink can do to make the perfect warm winter cocktail. 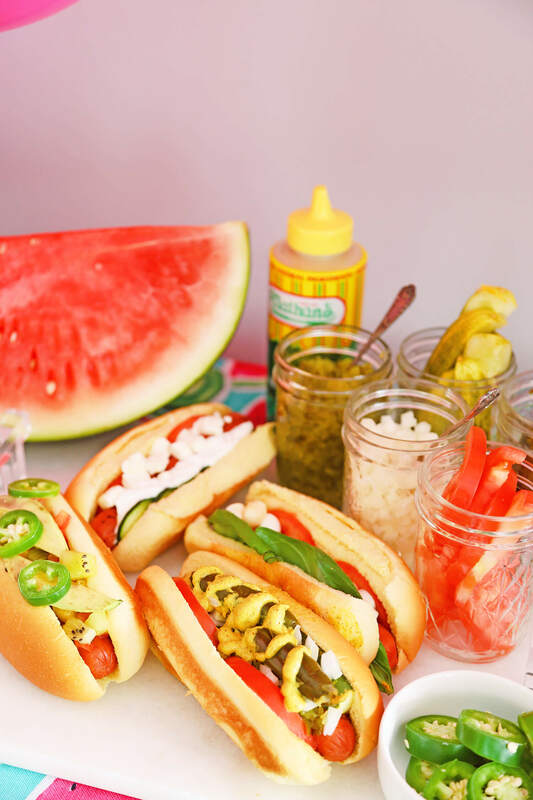 I hope you enjoy my warm take on a Summer classic, The Hot & Stormy. It just might be my new favorite cold weather drink. 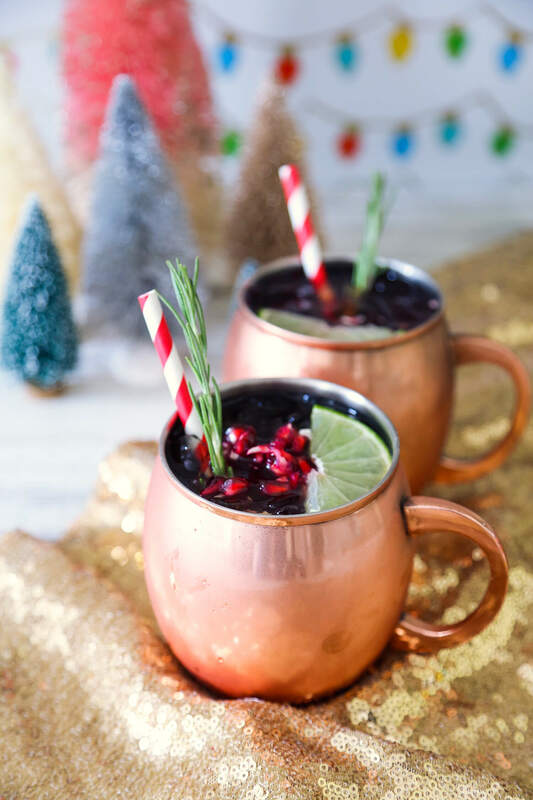 It’s beginning to look a lot like cocktails (I mean Christmas) around here! 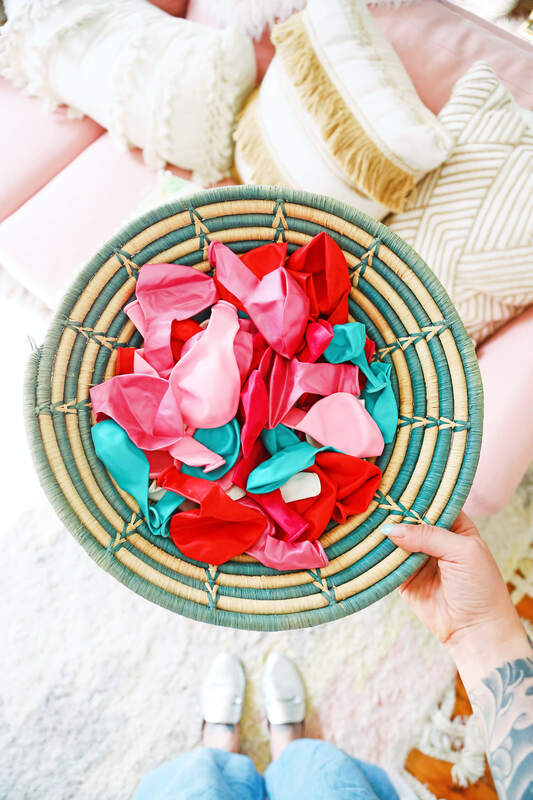 The holidays can be a little hectic, so taking the stress out of entertaining is key. 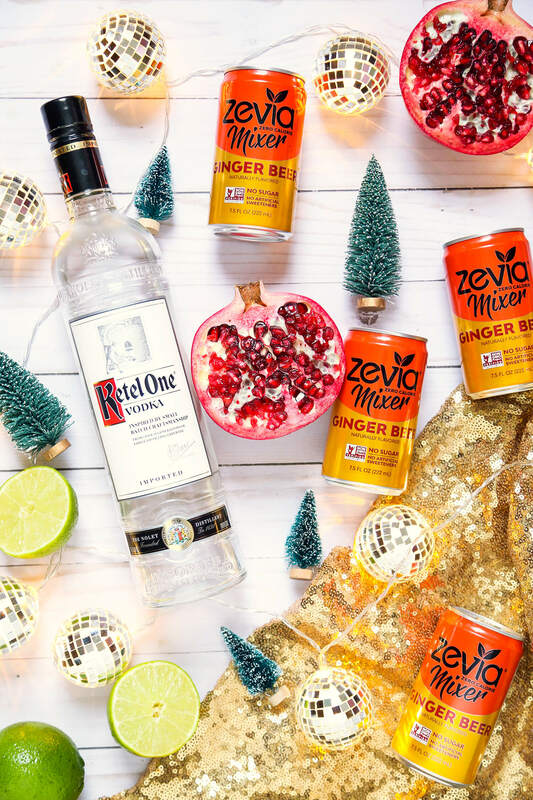 I put together this Holiday Pomegranate Mule that is perfect for your holiday celebrations. 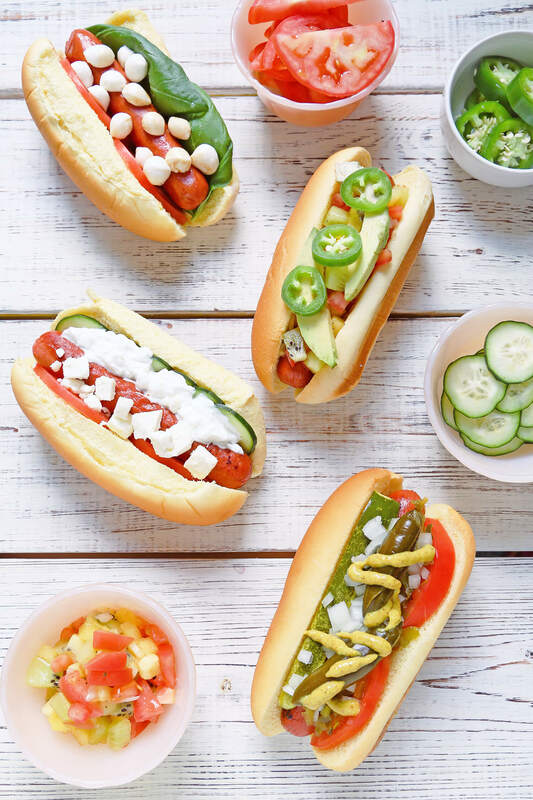 They’re easy to whip up in a larger batch but also simple if you just need to make a few. 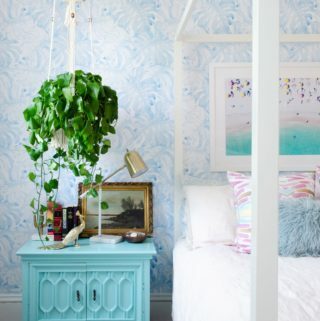 Maybe you need to kick up your feet up and relax with one. 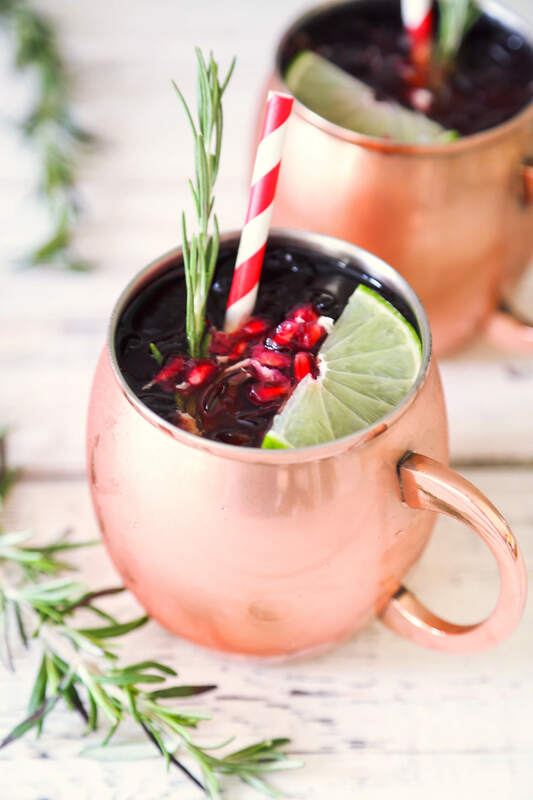 I promise this Holiday Pomegranate Mule will do the trick! 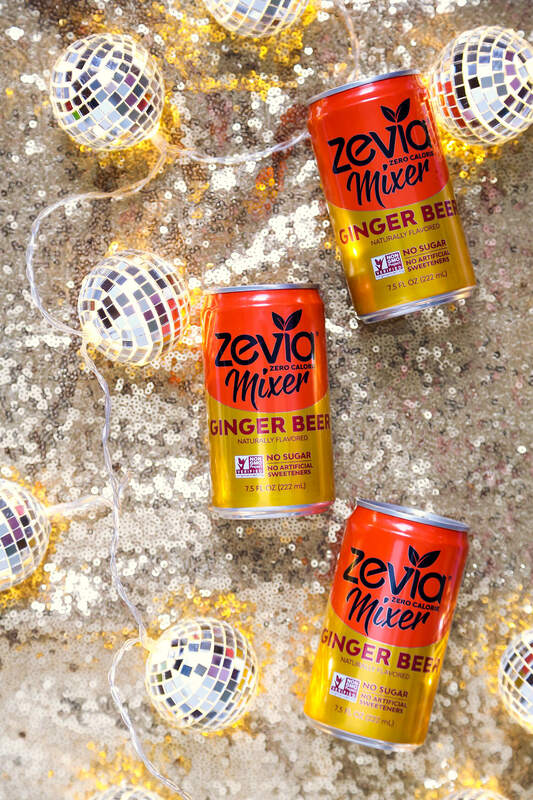 I’ve been using Zevia mixers a lot around here and I love, love, love their ginger beer. 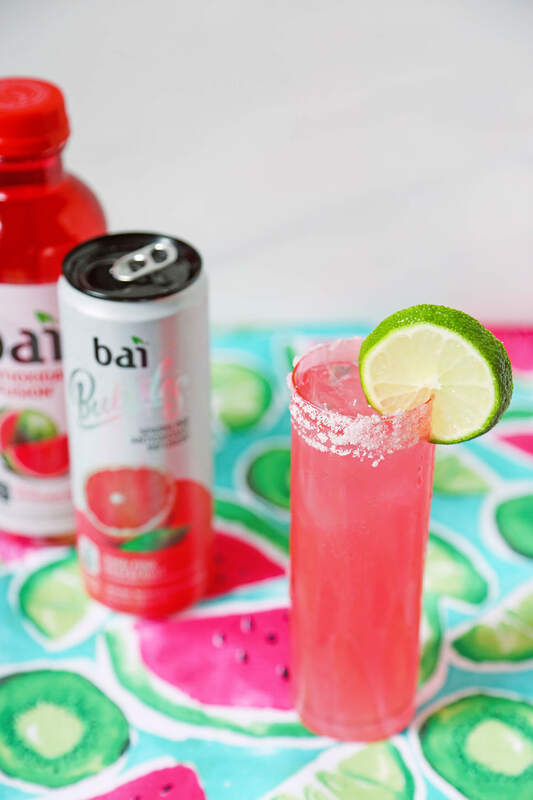 Their mixers are simple and the perfect compliment to any cocktail. 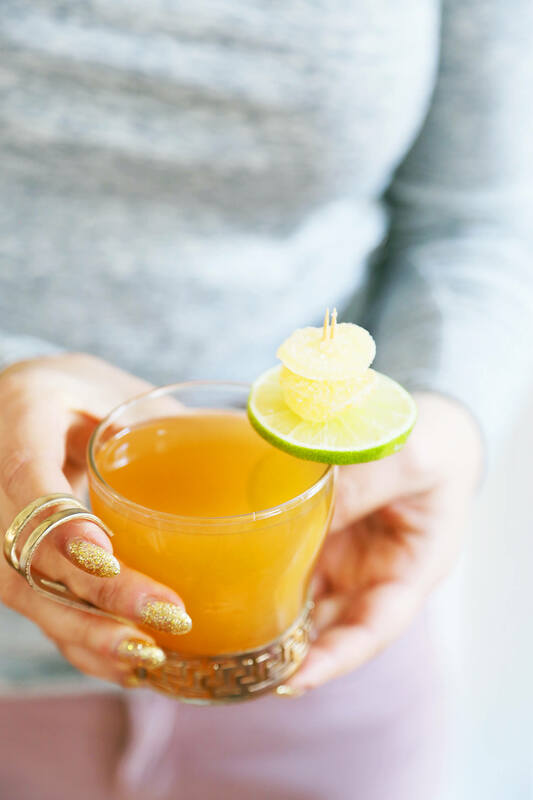 This ginger beer is bold and spicy in flavor (which I love) with a hint of sweetness. 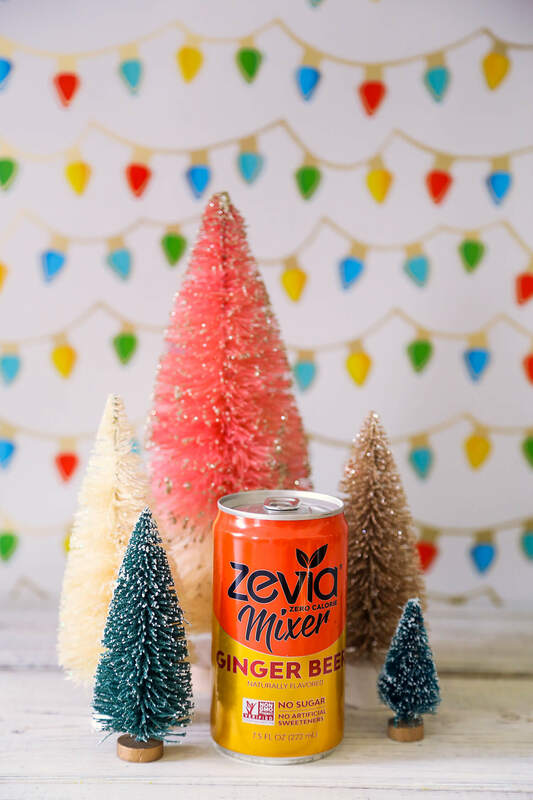 Making smarter choices is important to me and I like using Zevia because there is no sugar, no calories, and no artificial sweeteners. 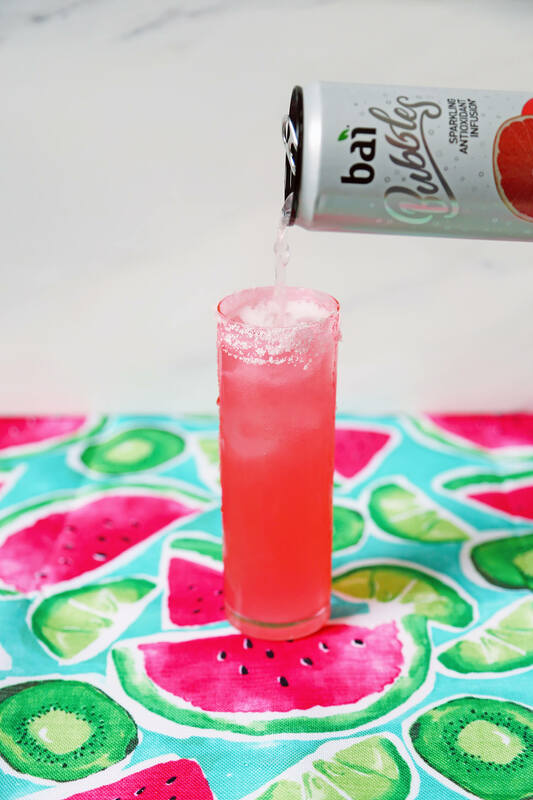 That means they won’t overload cocktails with extra calories and they have a more sophisticated and drier flavor than most sodas on the market. 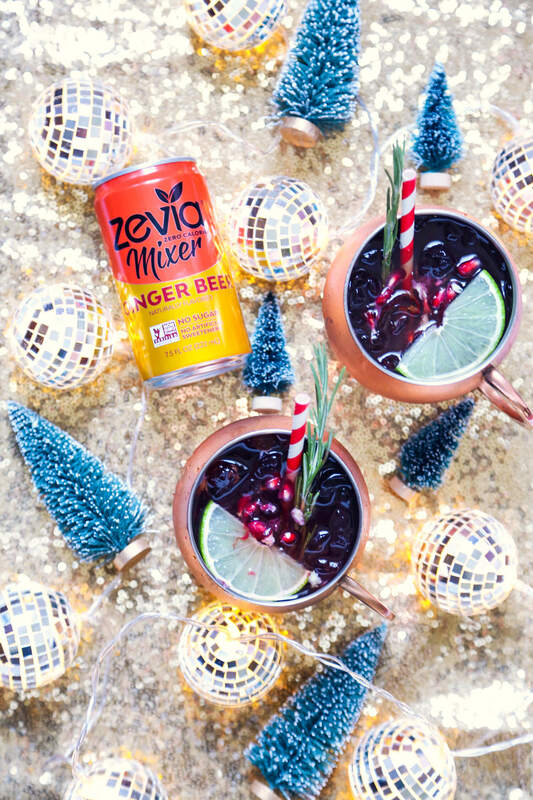 I used Zevia ginger beer in my Holiday Pomegranate Mule and the results were amazing! I made a pomegranate simple syrup with stevia to further reduce the calories associated with drinking cocktails. I made it by reducing fresh pomegranate juice, lemon juice, and stevia. Place 2 cups pomegranate juice, 4 tbsp. of stevia and 1/2 tbsp. fresh lemon juice in a saucepan set over medium heat. Cook, stirring occasionally until the stevia has completely dissolved. 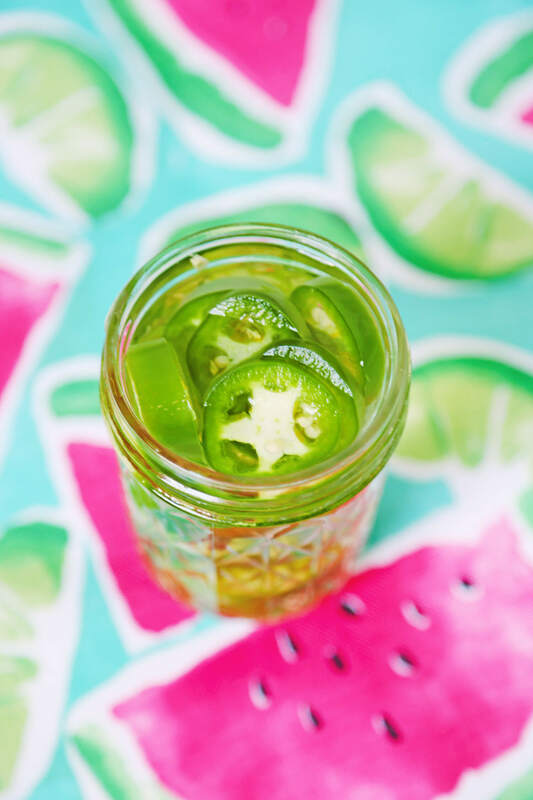 Allow to cool completely and store in a glass jar or bottle. 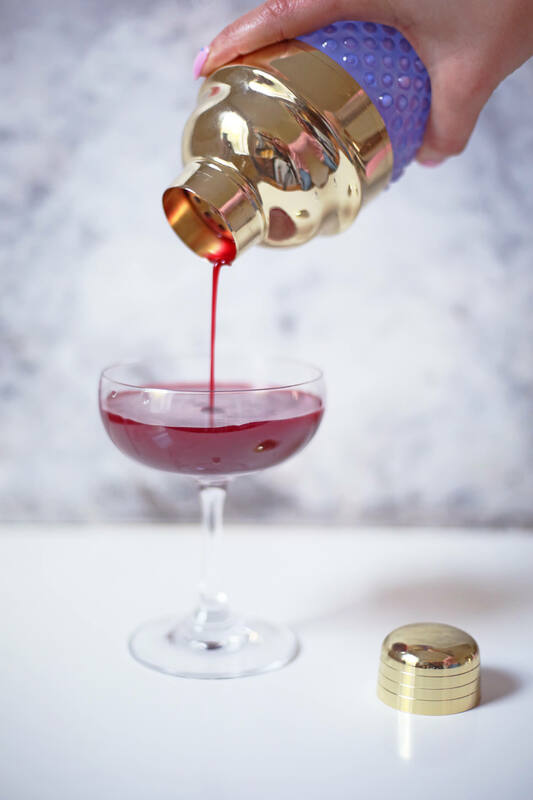 Add your vodka, lime juice, and pomegranate simple syrup to a cocktail shaker with some ice and give it a quick shake. 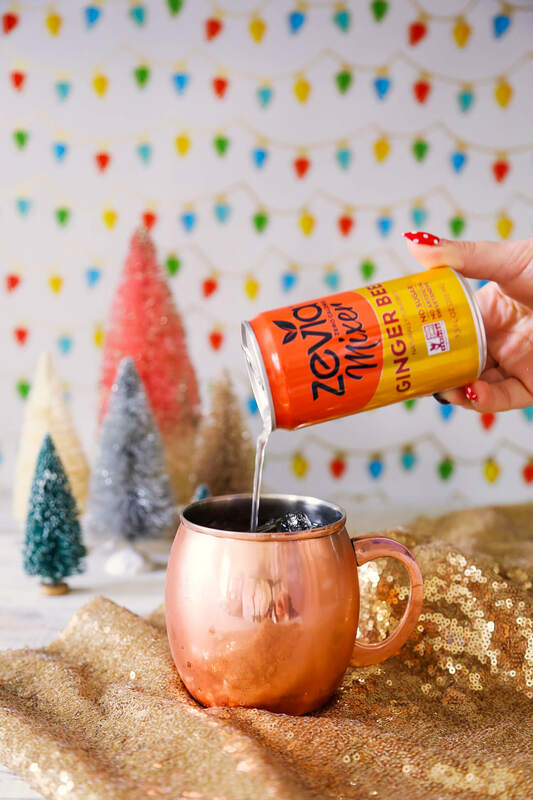 Pour into a copper mug filled with ice and top with Zevia Ginger Beer. Garnish with a slice of lime, a sprig of rosemary, and some pomegranate seeds. While I was scooping out the seeds from the pomegranate I produced a good amount of fresh pomegranate juice. If that’s the case for you as well, pour some of the juice into your cocktail. 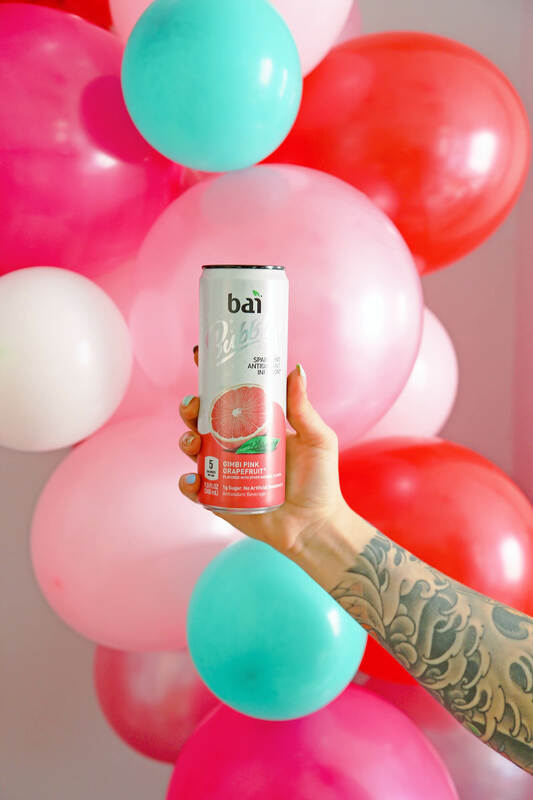 I love fresh pomegranate juice and it added so much flavor to the drink! Pomegranates are tart, tangy, and rich but not sweet, with musky complexities similar to red wine. I love using this ingredient in cocktails because the flavors are so complex and mix well with so many spirits. 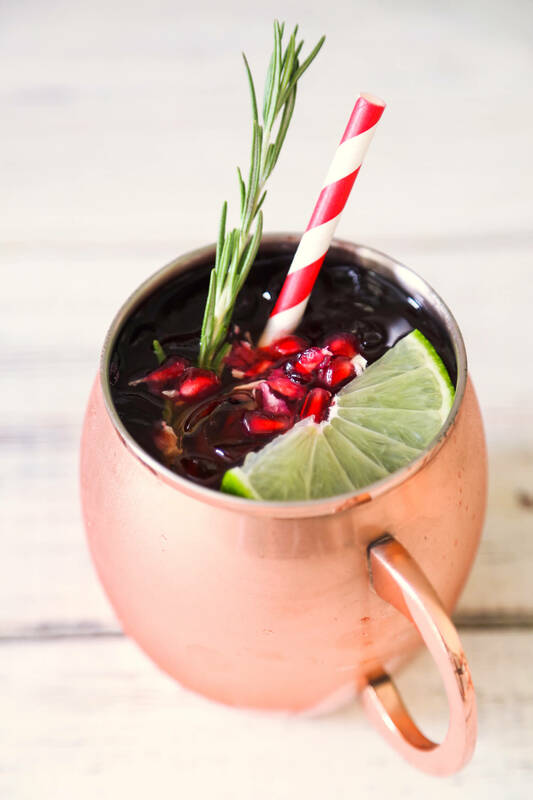 I based this Holiday Pomegranate Mule off the classic Moscow Mule cocktail but feel free to use another spirit besides vodka. 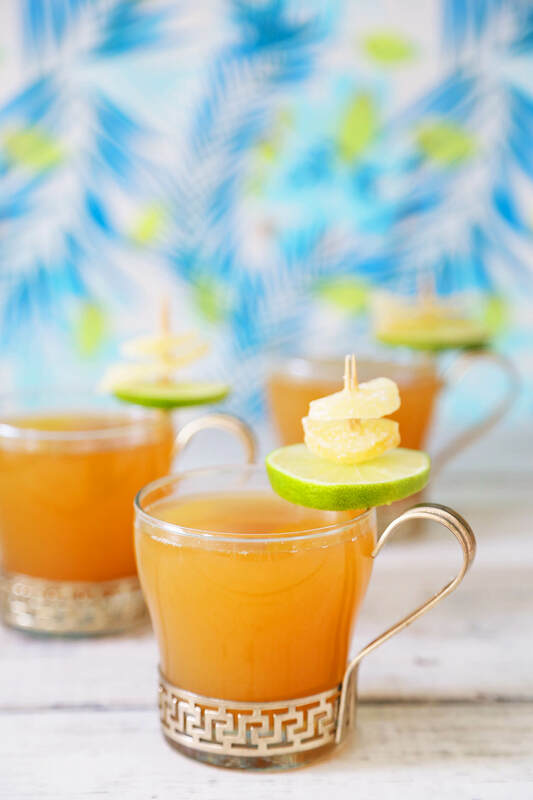 Rum, gin, tequila, or any type of whiskey would also be a great fit for this drink. I love matcha A LOT! Last year I made a matcha piña colada and that kind of sparked my obsession with this green powdered goodness. Matcha smoothie bowls, matcha lattes, matcha soft serve, matcha ice cream, matcha brownies…okay you get it! 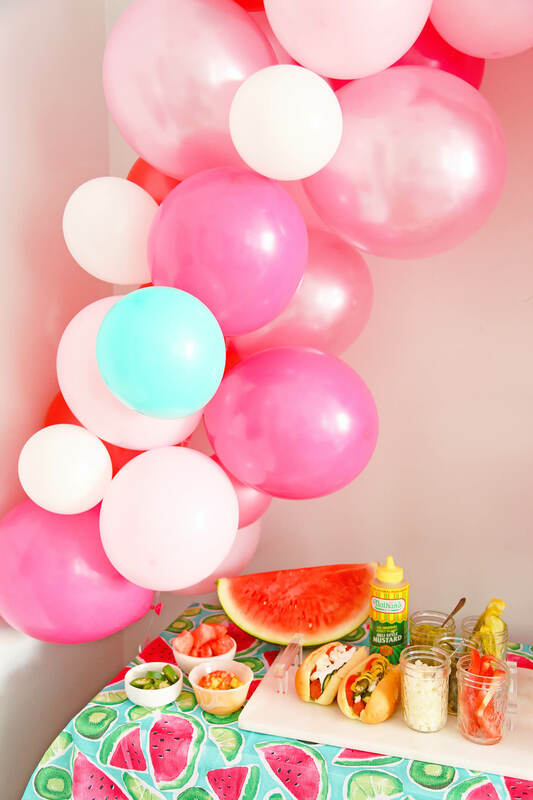 After indulging in an iced latte last week I had an epiphany – this would be really good with rum in it. I often think that though. 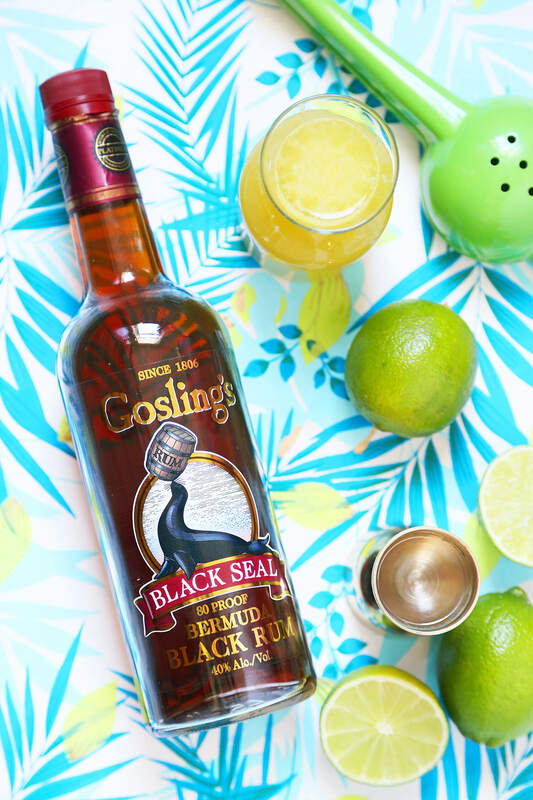 We can agree that basically everything would taste better with a little rum in it. Period. Okay, I also have a large obsession with rum as you might have noticed. Moral of the story: Do what you love. I’ve been trying to eat cleaner but I guess drinking cleaner might be counter productive. 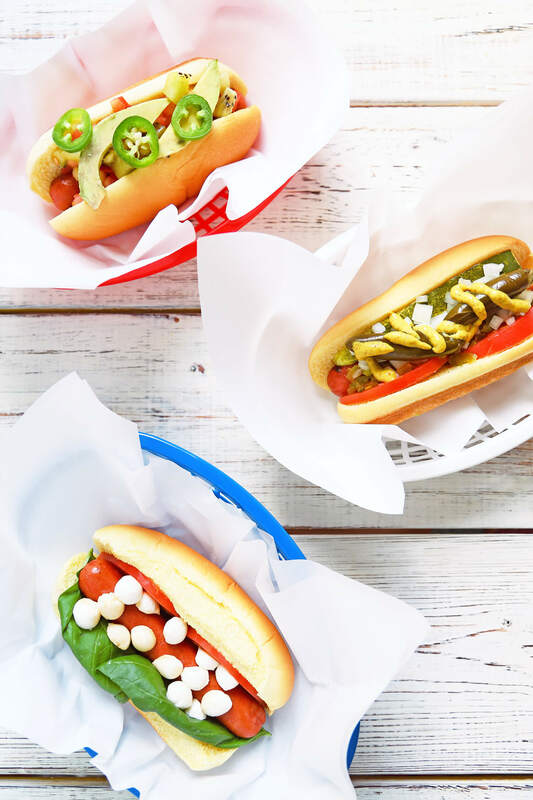 You can still of course indulge and make smarter choices that are less impactful on your body, mind, and your whole next day. I struggle with really bad hangovers so I try not to push my limits anymore. 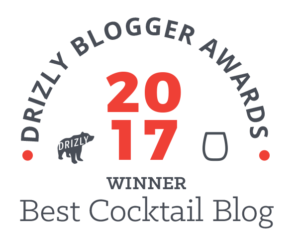 You’d expect because of my blog and my profession that I’m a BIG drinker. In fact, I pride myself on moderation, and above all things, drinking and serving responsibly. 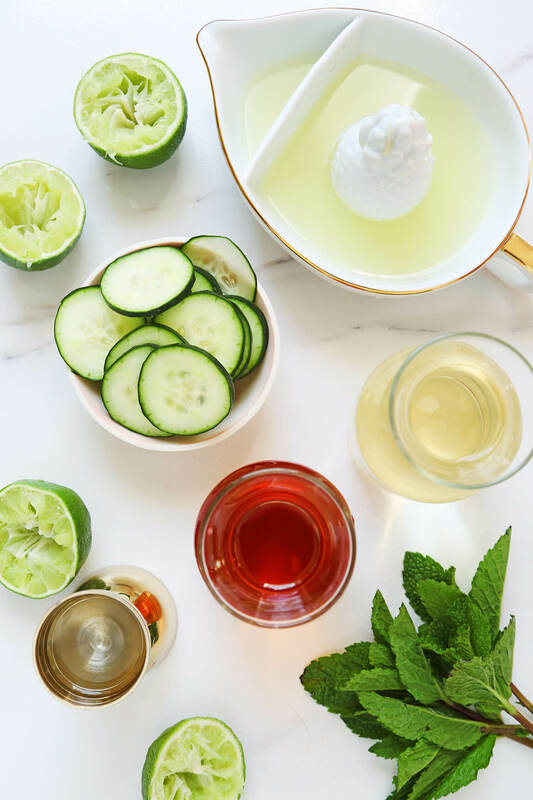 I love to incorporate healthy elements into cocktails by always using the freshest ingredients and using things like teas, ginger, turmeric, etc. All of these things are good for you and of course make you feel a bit less guilty about having another. 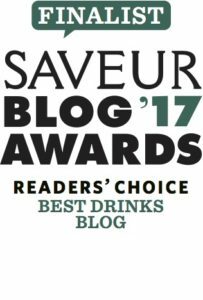 Check out this article about healthy(ish) cocktails on Supercall where my Yellow Line cocktail is mentioned. 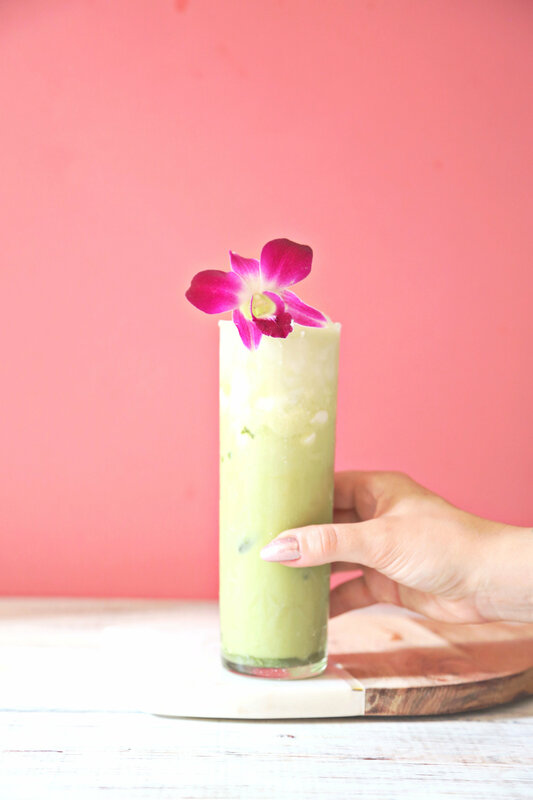 Add the rum, milk, orgeat, and matcha to your cocktail shaker, add ice and shake. Strain into a highball glass over ice and top with whipped coconut cream.